Winter is here. Darkness arrives early and the cool evenings demand warm woolens. It’s a cozy cabin time of year for crackling wood fires and deep bowls of hot soup. 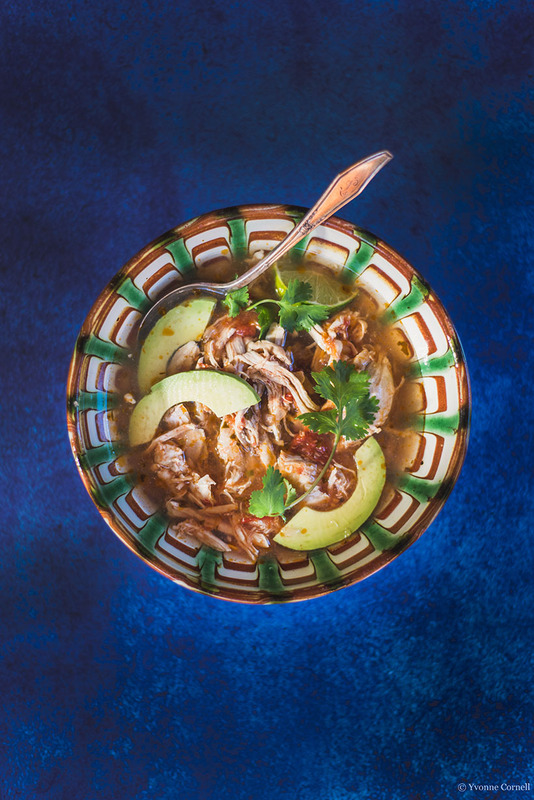 This Mexican Sopa De Lima (Lime Soup) will reach deep into the crevices of your soul and warm you down to your toes. Kathy Gunst is the resident chef of NPR’s Here & Now and author of my new favorite soul soup cookbook SOUP SWAP: Comforting Recipes to Make and Share. Let me tell you, Kathy is right. If you’re pressed for time, skip the homemade tortilla strips as I did. There’s no better way to nourish your family and nurture warm friendships than serving homemade chicken soup. 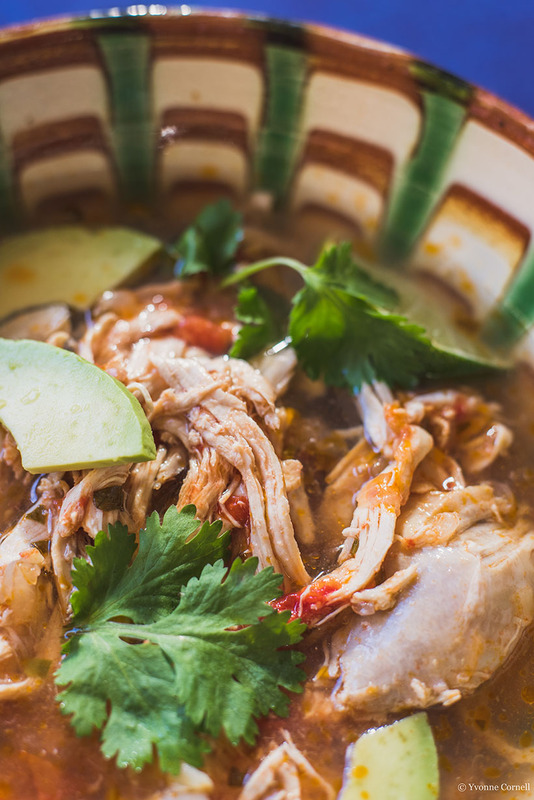 Check out Kathy’s simple chicken stock HERE. 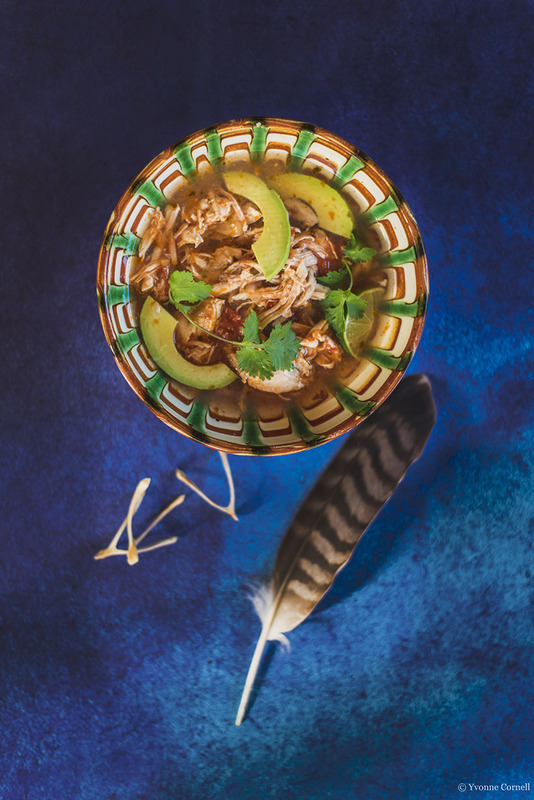 “It’s so easy, there’s hardly a recipe.” Plus you can use the cooked chicken meat in your Sopa De Lima soup. In a large stockpot over low heat, warm the olive oil. Add the onion and garlic and cook for 10 minutes. Season with salt and pepper, stir in the jalapeño, and cook for another 2 minutes. Stir in the tomatoes and oregano and cook for 5 minutes more. Turn the heat to high, add the chicken stock, and bring to a boil. Turn the heat to low, cover, and cook for 30 minutes. Just before serving, add the lime juice to the soup. Taste and adjust the seasoning, adding more salt, pepper, jalapeño, or lime juice, if needed. Ladle the soup into mugs or bowls, top each with two or three tortilla strips, and serve. Arrange all the garnishes decoratively on a large serving plate and let guests add their own. In a medium skillet over medium-high heat, add enough canola oil to reach a depth of ½ inch (12 mm) and heat until a small piece of tortilla or a speck of salt immediately sizzles on contact. Cook the tortillas, one at a time, for 1 to 2 minutes on each side, or until golden brown and slightly puffed. Using tongs, transfer the tortillas to paper towels to drain; sprinkle with salt.